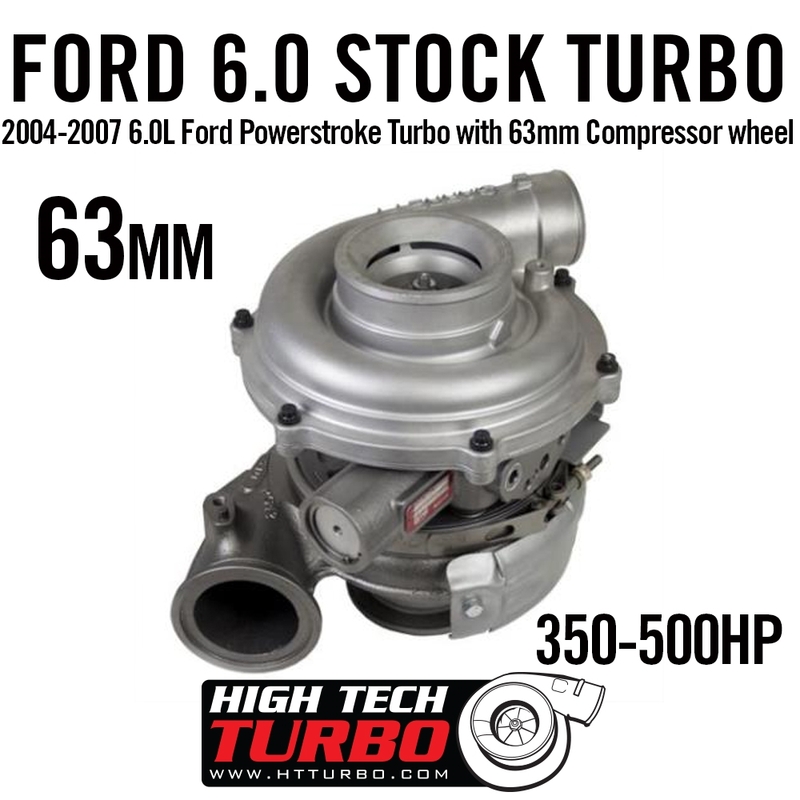 This is the perfect stock replacement or upgrade repalcement for the 2004-2007 6.0L Power Stroke. Built from a stock OE unit, our trained technicians disassemble, clean, and inspect before machining and upgrading to our in-house 7-blade FMW 63.5mm compressor wheel. This wheel increases flow over the stock unit to help reduce EGT's while increasing power output. This turbo will retain stock like spool-up making it perfect for a daily driver and towing application.